Need inspiration and motivation on your waist training journey? Look no further than other women just like you who have used waist trainers and corsets to completely transform themselves! Whether you’re a mom trying to lose the baby weight or you’re just trying to cultivate a healthier lifestyle, here are five incredible stories that will give you a vision for what waist training can do for you if you stick with it. Lillie is the proud mom of a toddler who loves being able to stay at home to care for her son. She has always been naturally thin, but she was having trouble losing the extra twenty pounds she was carrying after pregnancy, as well as firming up her midsection. Plus she had to get ready for her own wedding in just a few months! After extensive research she decided to try out the Ann Chery Workout waist trainer, which comes in vibrant colors and has hundreds of positive reviews. She wore it faithfully every day for 8–12 hours once she grew accustomed to the way it felt. She started noticing a difference after just a couple of weeks and soon everyone started noticing that it looked like she had never been pregnant. Great job, Lillie! Suzie is an interior designer with an eye for fashion, so when she heard about waist training she was very intrigued. She decided to try it in order to flatten her stomach while keeping her curves. In just a few weeks, she and her friends and family started noticing drastic results. Suzie was surprised at how effective wearing a waist trainer was in helping her portion control during meals. After a few months wearing Perfect Waist by Squeem, she switched to the Clasica Waist Cincher by Ann Chery and continues the journey. She definitely recommends waist training for anyone trying to slim down—with commitment it really works! Desire has a busy schedule and has struggled with weight loss and fitness for her whole life, which in turn as impacted her personal confidence. She decided to try wearing a waist after seeing many inspiring results on Instagram. Using the Clasica Black 3 Hook Waist Trainer by Ann Chery, she started waist training for just a few hours a day and then worked up to eight hours daily. After just two months of wear she met her goals and tightened the cincher to the next row! She’s now eating better and exercising more now that she’s motivated and feels more confident about herself. Ana knows what it means to be disciplined as a soldier! She has been in great shape before, but following pregnancy, she was struggling with slimming down just like anybody else. She was eager to try waist training and loved the results she saw after just a few weeks. She wears the Amia Sculpting Vest 8–10 hours a day and works out five days a week. Everyone wants to know her secret about how her waist got so small! Yuliza balances a busy life work and study; she works at Victoria’s Secret while studying to be an ASL interpreter. She noticed that one of her coworkers had an incredible hourglass shape and wanted to her know her secret. It was waist training, of course! So she started wearing the Workout Waist Trainer by Bonitaz five days a week, eight hours a day. She was thrilled with the results she saw after just a few weeks and loves the shape of her figure under dresses. Pairing a waist training regimen with a commitment to a workout routine has contributed to her seeing results even when she’s not wearing a waist trainer. Jessica balances life with a young child with working part-time and going to school. She definitely doesn’t have a lot of extra time to devote to her health and fitness, but she knows it is important. She decided to try waist training using the Metallic Edition Waist Cincher by Ann Chery after nothing else she tried was able to tighten up her midsection after having a baby. 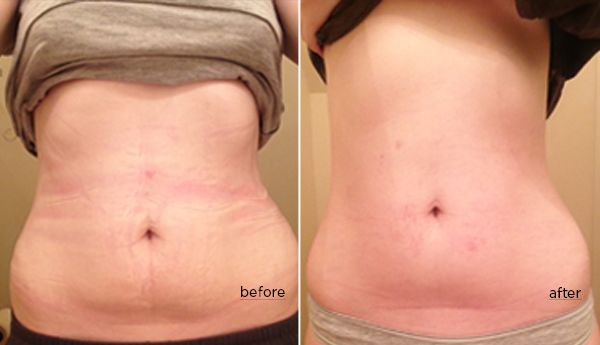 She was blown away with the results; even putting it on for the first time she dropped a couple of sizes. Immediately hooked, she started wearing it daily and was able to tighten it to the next row of hooks within a few weeks. She also loved the improvements she felt in her posture. These results aren’t from celebrities or professional athletes; they’re from regular women just like you! You CAN take control of your habits and your health and love the way you look. It just takes the desire, the decision and the commitment to make a change. We love that all of these success stories aren’t just about improving physical appearance. 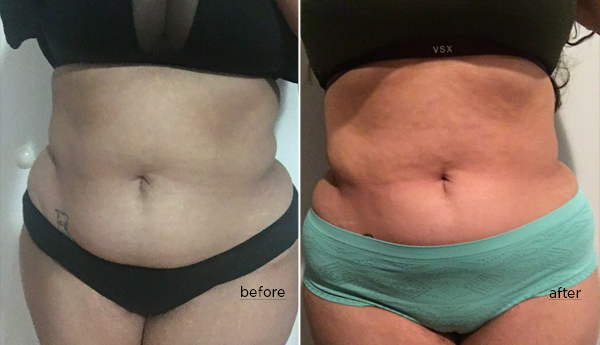 All of these women have a unique body shape and size and, after trying waist training, felt more confident in their own skin. And that’s the key: setting your own personal goals and committing to your own personal journey. Find your perfect match: choose your waist trainer based on your goals, body type and lifestyle (check out this guide). Find your perfect fit: take your waist measurement accurately and be sure to follow the sizing chart exactly (check out these tips). Place your order! Then you get to wait with anticipation. Try on your waist trainer. This step is very important if you’re going to get the ideal results. It can be a little tricky to accomplish if you’ve never done it before because a waist trainer that fits well is going to be very tight. Yet you don’t want to damage the garment by forcing it too hard if it is in fact too small. See these tips for how to put on a waist trainer. Start your waist training regimen! You’ll want to start out with just an hour or two a day and gradually work your way up. After you’ve been wearing your waist trainer daily for two or three weeks, you should feel comfortable wearing it at least eight hours a day. Track your progress! Be an inspiration to yourself and others by taking progress photos. We’d love to see your results too! Share it with us on social media using #BeTheHourglass. We can’t wait to see you crush your goals by transforming your figure and your confidence. Maybe you’ll be the next inspirational story that helps many others make the decision to make a change.